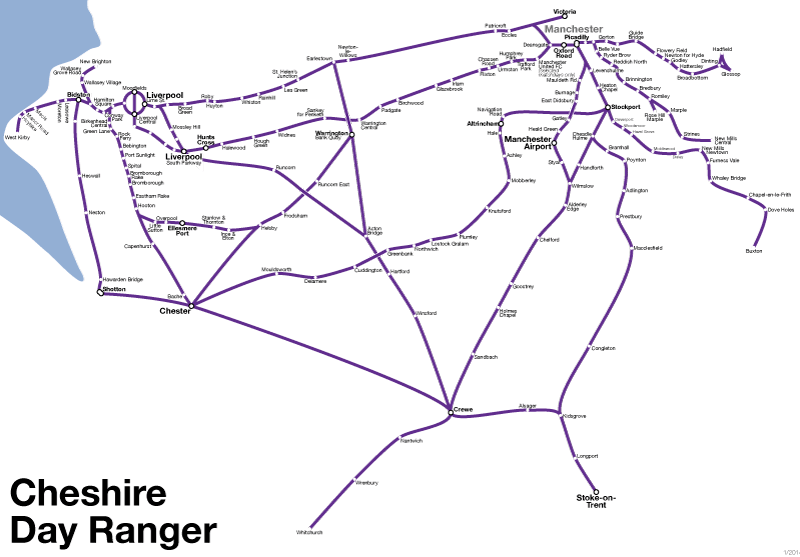 The Cheshire Day Ranger gives you unlimited rail travel in Cheshire and surrounding areas. This rail pass lets you travel as far as Liverpool and Manchester as well as Stock-on-Trent and parts of the Peak District. This pass can be used after 8.45am Monday–Friday and all day on weekends and bank holidays.